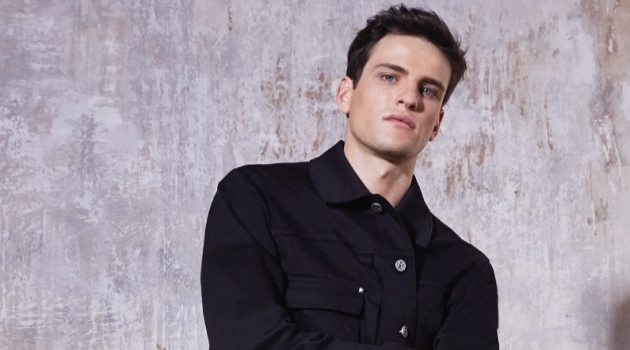 Dsquared2 makes an elegant proposal for the season with the release of its fall-winter 2018 classic collection lookbook. 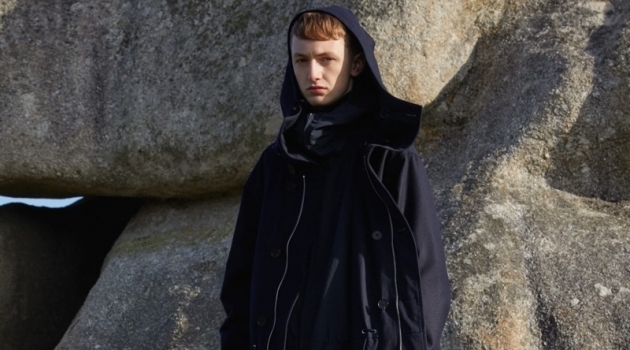 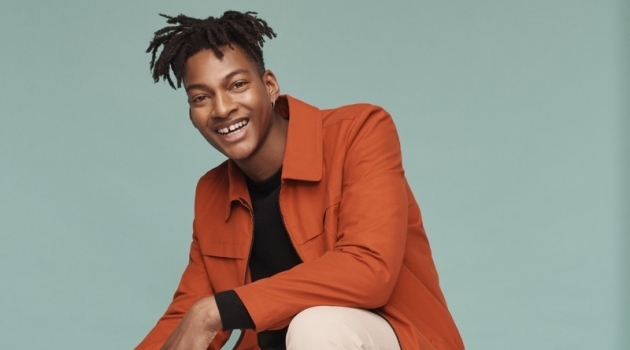 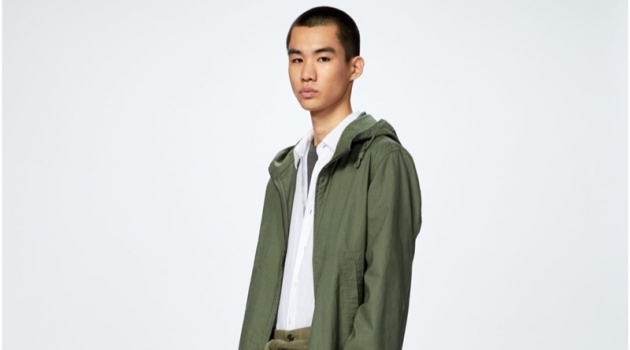 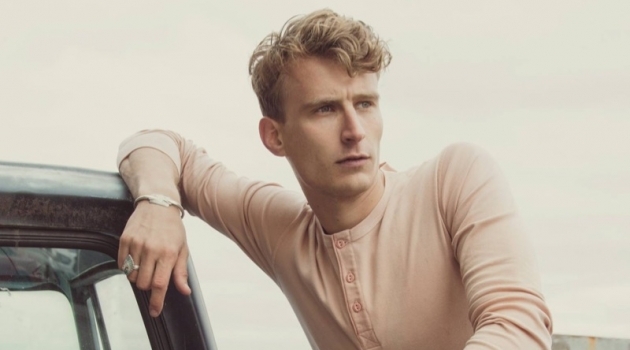 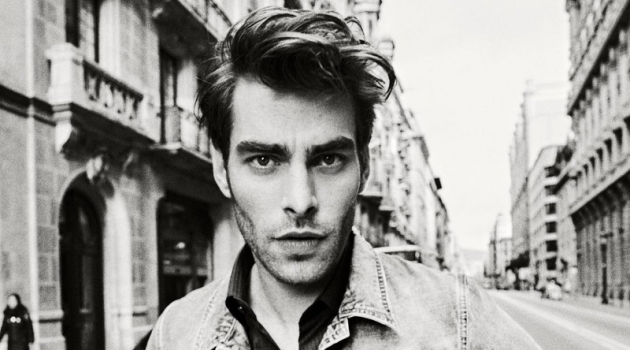 The fashion brand enlists model Parker van Noord as the star of the season. 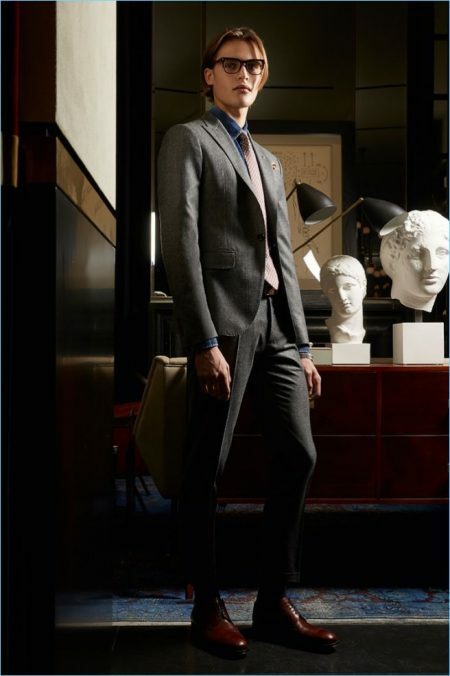 A chic vision, Parker connects with photographer Saverio Cardia for the occasion. 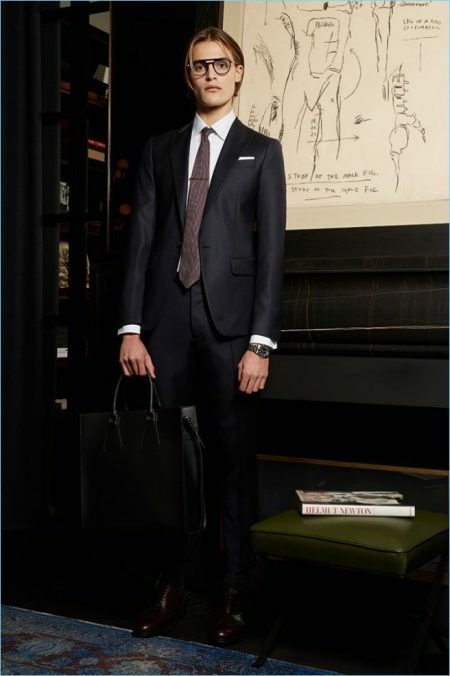 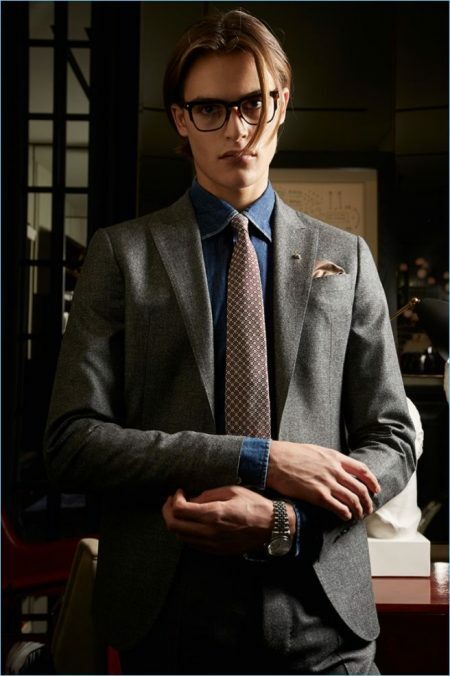 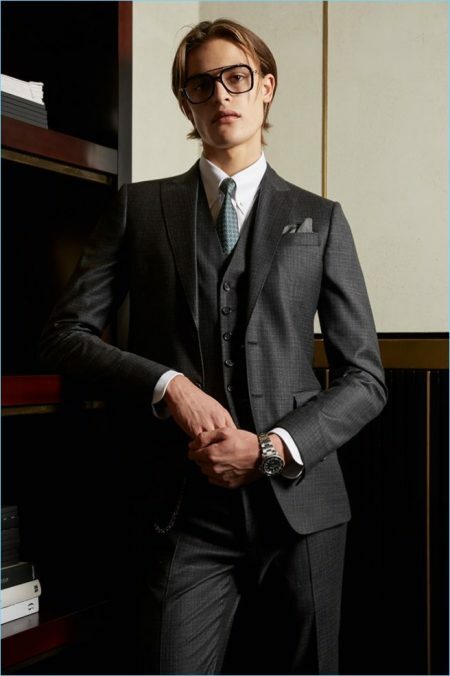 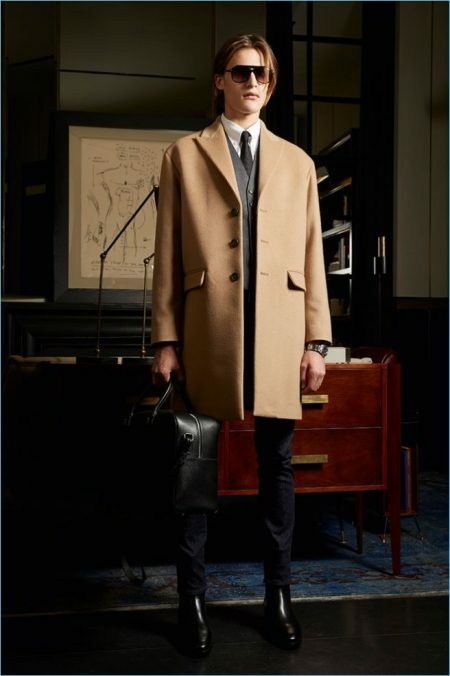 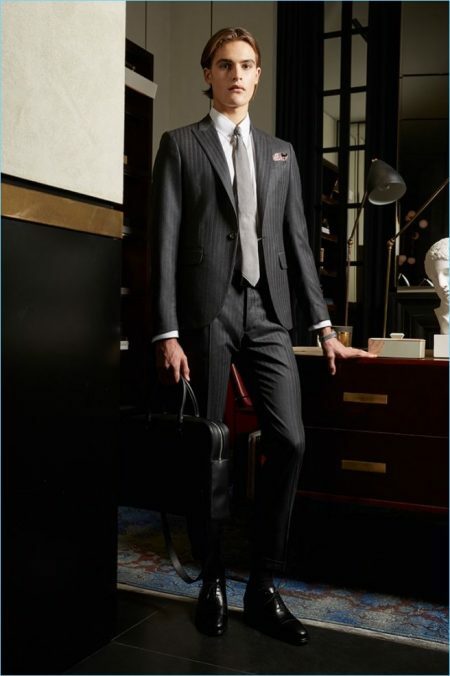 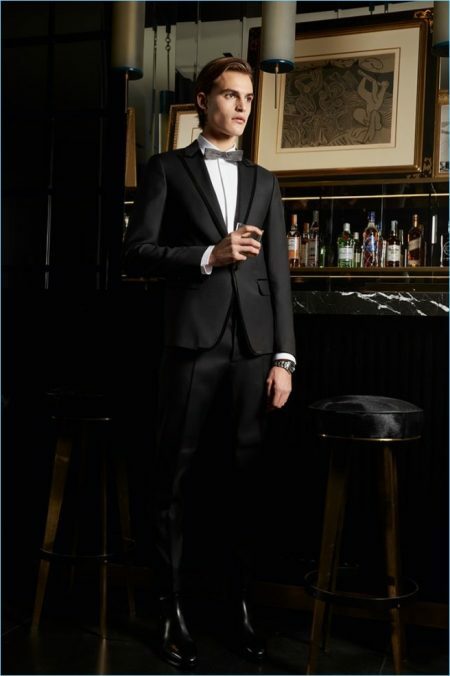 Retreating to a study, Parker models Dsquared2's latest range of sharp tailoring. 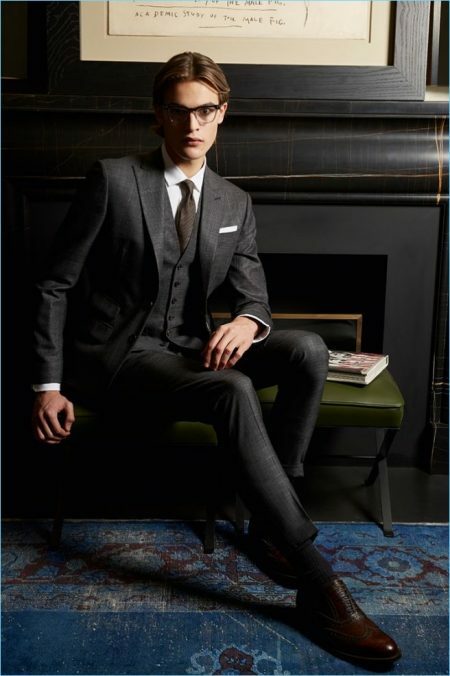 Dressed to impress, Parker dons three-piece suits, double-breasted jackets, and timeless numbers in charcoal. 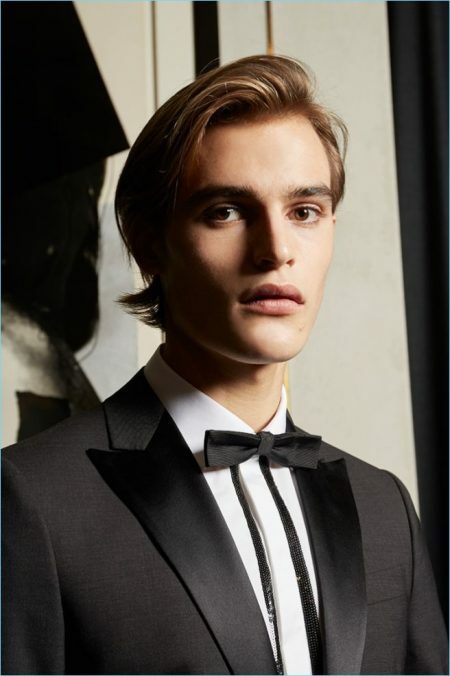 Not missing a beat, Dsquared2 addresses formal attire as well with plenty of tuxedo jackets and evening suits. 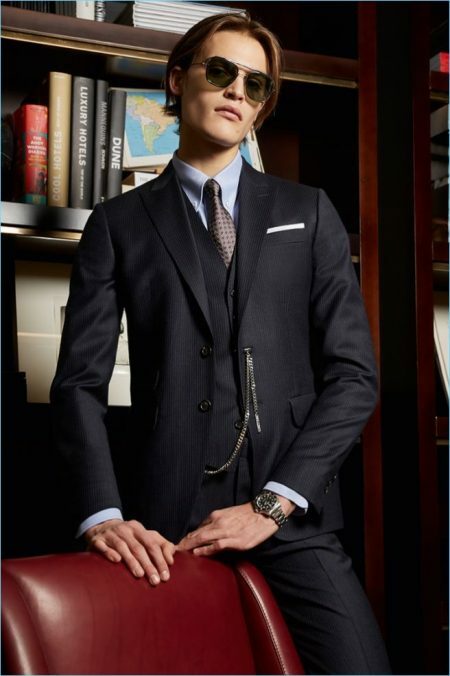 The impressive wardrobe is accented by slender ties and bow-ties.